This is Part 2 of a post from last year originally titled 25 Years and Counting Since 1988, now retitled 26 Years…. 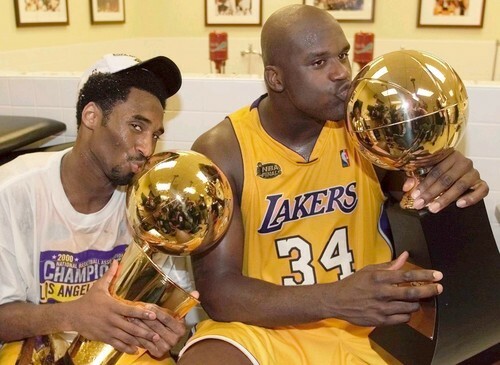 , briefly recapping each season from 2000 all the way to this past year . In the meantime, who would have imagined a World Series between Kansas City and the Giants . Yeah, it hurts, but the Giants earned their way in folks. Want some other painful facts ? This is now the Giants 5th World Series appearance since our last one , yup, 26 years ago in 1988…. Last we looked back upon the 90’s. The four Rookies of the Year winners, the transition from the O’Malley’s to the Fox ownership. Yeah, the 90’s weren’t exactly the most glorious times for our Boys in Blue we’re they ? Certainly the new millenium would see some brighter days. 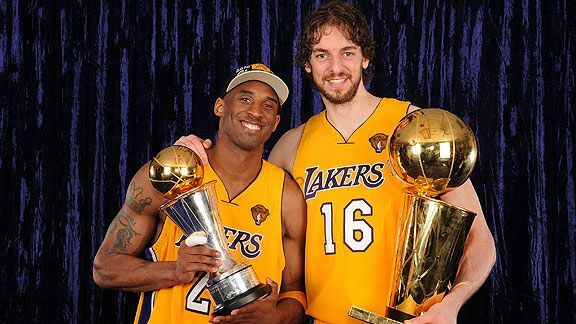 Glory would indeed return for L.A. sports fans but not yet for the Dodgers as the Lakers would make it to the NBA Finals 7 times, winning in 5 of the 7 appearances, the first 3 with the Kobe-Shaq duo and the final 2 with the Kobe-Gasol tandem. 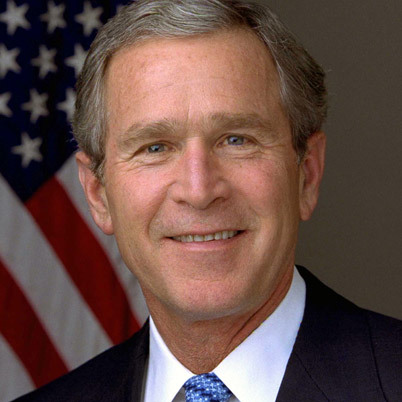 Around the U.S. , George W. Bush, son of the former President, and Vice President Al Gore hold a virtual dead-heat for the presidency, with a disputed vote in Florida holding off the naming of the winner of the President Election until the Supreme Court of the United States voted in favor of Bush on December 12. This ruling gave Florida to the Bush camp by a 527 vote majority, and a victory in the Electoral College, 271-266, despite gaining less popular votes than Gore. 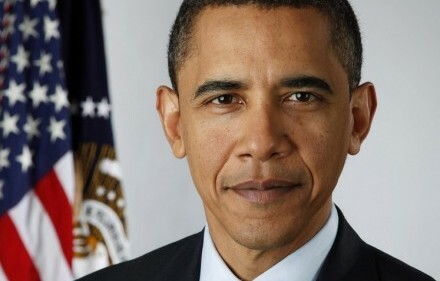 8 years later, Barack Obama would make history, becoming the United States first ever African-American president. 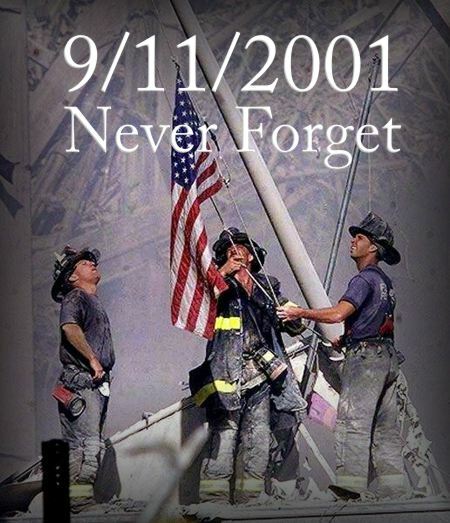 September 11, 2001 – A day we will all never forget…. Islamic fundamentalist terrorists hijack four U.S. airliners and crash them into the Pentagon and the World Trade Center in New York City. The attack of two planes levels the World Trade Center and the crash of one plane inflicts serious damage to the Pentagon in Arlington, Virginia, causing nearly 3,000 deaths. The fourth plane is heroically crashed by passengers into a Shanksville, Pennsylvania cornfield when they learn of the plot, preventing destruction of another structure in Washington, D.C., supposed to be the White House or the Capitol building. The plot is attributed to the Al-Qaeda organization led by Osama Bin Laden. Talented but surly outfielder Raul Mondesi would be traded to the Toronto Blue Jays for local star Shawn Green. . Eric Karros became the L.A. Dodger all-time leader with his 229th home run and Dave Hansen set a Major League record with seven pinch-hit home runs. Kevin Brown led the league in E.R.A. with 2.58 . All these accomplishments would lead to a 2nd place finish, 11 games behind the Giants. Davey Johnson would be fired as manager after only 2 seasons as skipper of The Boys in Blue. In Jim Tracy’s first season as the Dodgers manager, the Dodgers, in 1st place through much of the summer, would finish 6 games behind the eventual World Champion Arizona Diamondbacks for the NL West. 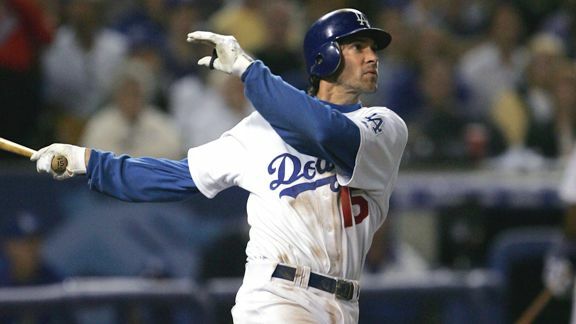 Shawn Green would set an all-time Dodgers record by smashing 49 home runs. Shawn Green would hit 42 home runs, becoming the first L.A. Dodger to have back-to-back seasons of 40 or more, Four of those home runs came in one game, May 23 at Milwaukee, tying a Major League record. In that game, Green set a Major League mark for total bases (19). Eric Gagne, in his first season as a closer, would start his record setting save streak in late October that would last into the 2004 season while also setting a club mark with 52 saves. However, the Dodgers would miss out again on post-season play, finishing 7 games behind the defending World Champion DBacks and 3 back of the hated Giants for the NL Wild Card. The Dodgers would win the NL West for the first time since 1995, leaving the hated Giants 2 games behind. The Dodgers would bow out to the St Louis Cardinals in the NLDS, as Jose Lima would pitch a complete game shutout in Game 4, the first Dodgers post season win since winning it all in 1988. 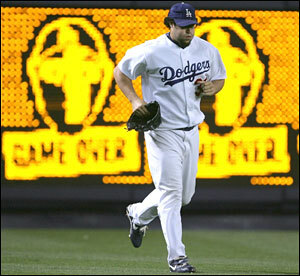 The 2005 season started off promising as the Dodgers would storm out of the gate with a 12-2 start. Unfortunately, that was as good as it got as they w finished the 2005 season 71-91, their worst record since the 99-loss season of 1992, only 11 games out of the first place Padres, who won the division with a not-so impressive 82-20 mark. They finished in fourth place for the first time since 1993. The roster was decimated by 24 disabling injuries and the club used 20 rookies. After 4 seasons as the skipper, Jim Tracy would be fired, as well as GM Paul DePodesta, who took the brunt of the blame from the fans for his frugal ways of operation. After falling 8 games below .500 into late July, the Dodgers would finish on a torrid 41-19 mark, tied for first with the Padres for the NL West, earning themselves a wild-card berth. The highlight of the season would come in mid-September as the Blue, down 4 to the Padres heading to the home 9th, would belt 4 consecutive home runs, by Jeff Kent, J.D. Drew, Russell Martin, and Marlon Anderson. After falling behind in the 10th, Nomar Garciaparra would end it all with a 2-run shot. The Dodgers would be swept in the NLDS by the New York Mets. The Dodgers would have the best record in the National League through 100 games, but a late season swoon and some clubhouse dissension, much of it between old-school veteran Jeff Kent and up and coming not quite in his prime Matt Kemp, would leave the Dodgers 8 games behind the Arizona Diamondbacks. Grady Little would be dismissed at Dodgers manager after 2 seasons, making way for former Yankees manager Joe Torre. A late-season surge, aided by the acquisition of Red Sox castoff Manny Ramirez, unleashing the most amazing two months of offense the Dodgers have ever seen, hitting .396 down the stretch would lead the Dodgers to NL West title and their 3rd post-season appearance since 2004 with a modest 84-78 record. Chad Billingsley led the club with 16 wins while Andre Ethier and Matt Kemp established themselves as every-day outfielders and James Loney drove in 90 runs. The Dodgers would sweep the heavily favored Cubs in the NLDS ( They really are cursed, aren’t they ) before bowing out to the eventual World Champion Phillies in the NLCS in 5 games. The turning point would be Matt Stairs moster shot off Jonathan Broxton with 2 outs in the top 8th, giving the Phillies a 7-5 lead that they would not surrender. Cole Hammel’s and company would shut it down the next evening. With Broxton as our future closer and the heat he throws, you would want him on the hill should another big game be on the line, right ? The Phillies, like in ’08, would wrap it up in 5, this time they had the privledge of celebrating in front of their home fans. Broxton, in spite of making the all-star team in 2010, would to this day be remembered by most Dodger fans for 2 pitches we all wish he could have back. So, as exciting as 2009 was, it would end on a sour note. But hey, with back to back division titles and NLCS appearances and 4 playoff appearances in 6 years under the McCourt regime, we’re certainly that much closer to bringing home our first World Series title since ’88 right ? 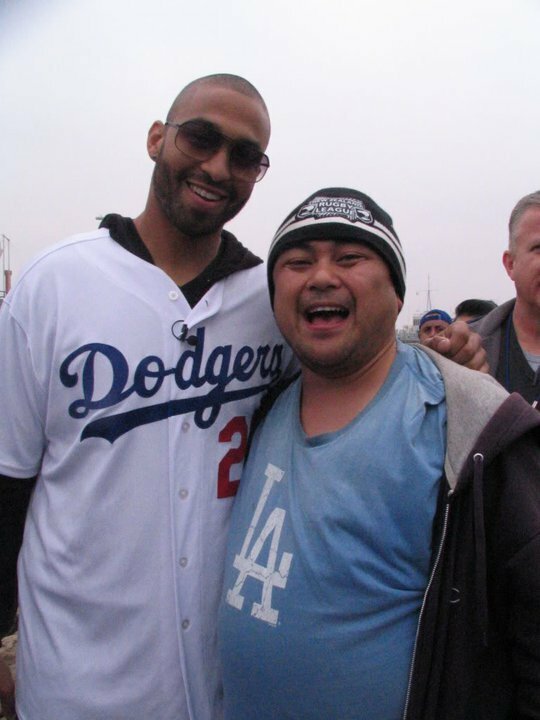 The 2011 season would be marred by the senseless beating of Giants fan Brian Stow in the Dodger Stadium parking lot, as well as being placed in bankruptcy protection no thanks to Frank and Jamie, attendance would fall south of 3 million for the first time since 1992 in a non-strike shortened season. After being as much as 14 games below .500, the Dodgers would put on a late surge, not enough to post a threat for a post-season spot, but enough to put them over the .500 mark for the season. Clayton Kershaw won the Cy Young Award and Matt Kemp just missed a batting Triple Crown and the MVP Award while playing for new manager Don Mattingly. Kershaw, Kemp and Andre Ethier were All-Stars and won Gold Glove Awards. On May 1st, it was official. The days of the McCourt regime we’re over !!! The arrival of new ownership  Guggenheim Baseball Management, headed by controlling partner Mark Walter and partners Magic Johnson, Stan Kasten, Peter Guber, Bobby Patton and Todd Boehly, would take over full operation of the franchise. In first place for much of the season and led by defending Cy Young winner Clayton Kershaw, the pitching staff ranked third in the Major Leagues in ERA and opposing batting average, but the offense struggled while centerpiece Matt Kemp battled injuries. In spite of the late season acquisitions of Hanley Ramirez, Shane Victorino, Adrian Gonzalez, Josh Beckett, Brandon League, Joe Blanton, Randy Choate, Nick Punto and Carl Crawford ( Crawford was on the DL in ’12 ), the Dodgers would finish 2nd to the Giants once again as the hated ones would win their 2nd WS title in 3 years. After falling as much as 12 games below .500 as late as June, the Dodgers would go on an unbelievable 40-8 from June 22 to the middle of August, overcoming a 9.5 game deficit to the DBacks en route to the NL West crown. At one point the club won 15 consecutive road games, the first NL team to do that since 1957, and they went unbeaten in 18 consecutive series. Dodgers pitchers led the Major Leagues with 22 shutouts and were second in the league with a 3.25 team ERA. That included Clayton Kershaw, who won his third consecutive ERA title at 1.83, the lowest in the NL since Greg Madduxs 1.63 in 1995. Kershaw combined with Zack Greinke to go 31-13, and Kenley Jansen would replace Brandon League as closer and Brian Wilson, signed in July after his recovery from Tommy John surgery, took over as set-up man. The offense, was led by Adrian Gonzalez’s 100 RBIs. Hanley Ramirez, Matt Kemp and Andre Ethier all battled injuries, but Ramirezs return in June coincided with the clubs turnaround, as did the arrival of Cuban rookie Yasiel Puig. The Dodgers would enter the playoffs without Matt Kemp, but it would not affect them in the NLDS against the Atlanta Braves, knocking them out in 4 games. The NLCS would be a different story. The Dodgers and Cardinals would battle through 5 games that we’re close enough either team could have won , especially the Dodgers if for some clutch hitting and perhaps Don Mattingly not over analyzing . With the Dodgers trailing 3 games to 2 heading back to St. Louis for game 6 and Kershaw on the mound, we really had to like our chances. However, even the best get snake-bitten at even the worst possible times. So there you have it. 25 years since 1988. 25 years of ups and downs. Yet we still wait confidently for World Series trophy number 7 to come. 25 years. It’s been so long now that I’ve spoken to lots of you Dodger fans over 21 who have still yet to experience a World Series. I feel your pain. 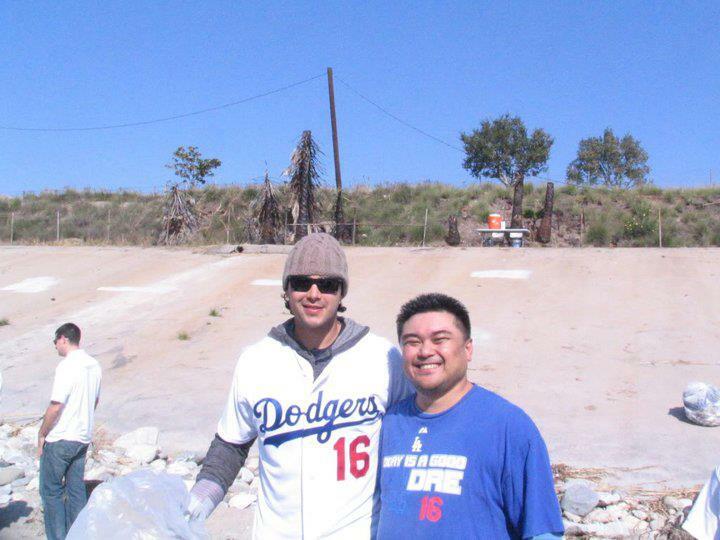 That’s what we do as Dodger fans. That’s what we do as fans period. We stick with our team through the good ( This past season ) and the bad ( No WS appearances in 25 years ) and the ugly ( McCourt ownership ) . 25 years is a long time. But I am confident we will not be waiting another 25 years before another World Series title comes to The Ravine. Next Year Bison !!! It’s back to doing things big !!! So Dre, are you going to be around In the End next year for the celebration ? And finally, I want to thank you the readers who have made this October a really fun one. My goal was to make it to the MLBlogs.com top 50 fan list, which I did back in March. Because it’s based on total views, I don’t know if I crack the list especially after viewership dropped understandably once the Dodgers we’re eliminated. I did, however, achieve the most visitor counts ever for my blog so again, thank you all for dropping by. I probably won’t be posting as much now at least until Spring Training as blogging, while I enjoy it, can be very time consuming as well. I hope you all have a great “off-season”, and here’s hoping to an even bigger 2014 !!!! Though the 2014 campaign would come to an abrupt end, lasting only 4 games into the NLDS before bowing out to the Cardinals for the 2nd straight year, there we’re still plenty of memorable moments, from the no-hitters from Josh Beckett and Clayton Kershaw , to Matt Kemp’s resurgence in the 2nd half, Adrian Gonzalez leading the league in RBI’s , to another Cy Young season from Mr. Kershaw, who has now won the E.R.A. title four seasons in a row, and of course, erasing a 9.5 game deficit to capture the NL West flag for the 2nd straight season. Unfortunately, Kershaw would unravel in the post-season and alongside a leaky bullpen, the Dodgers season would end not even 10 days into October. Like the rest of you, I was disappointed as well. When $235 million is spent on player salary, expectations are certain to be high. The bottom line is simple. The Dodgers simply did not meet , ok, let me rephrase that, they did not entirely meet our expectations. ( I may be putting it lightly folks ) . Many we’re quick to put blame on Mattingly. I disagree. While I was not crazy about some of his strategic move both during the regular and post-season, I felt he did an admirable job dealing with as many high strung ego’s in the dugout to get The Blue as far as he did. As for the post-season, he only played the hand he was dealt. Unfortunately, there was no bluff to call. That’s the post-season. That’s baseball.